"Red Leopard Rooibos is certified as a 100% Organic ingredient by both USDA and Ecocert"
In the Western Cape province of South Africa, on the slopes of the valleys and mountains of the Cedarberg region, a verdant green bush fills the landscape. 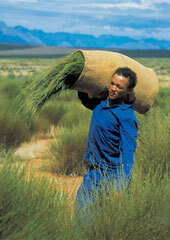 This bright bush is South Africa’s finest export, “Rooibos” (pronounced roy-boss. This herbal beverage, also known as Red Tea or Redbush Tea, is nourished by clean air and pure mountain streams in a sparsely populated area. 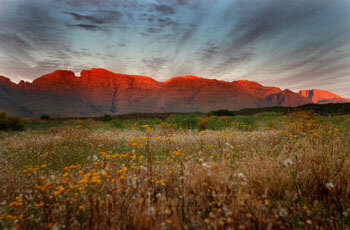 The Cedarberg is the only region in the world where this plant grows. 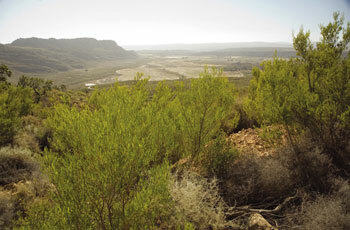 More than 300 years ago, the San Bushmen were the first to collect wild rooibos and use it to make tea. They discovered that they could brew a sweet, tasty tea from rooibos leaves and stems that they cut, bruised with wooden hammers, fermented in heaps, and then sun-dried in the hot African sun. In 1772, Botanists first recorded rooibos plants (Aspalathus linearis) after they were introduced to the tea by the San people. By the early 1930s, rooibos became a cultivated crop and has been subsequently grown commercially for export all over the world, with the demand growing daily. Today, this tisane / herbal infusion must still go through a fermentation process. With great care, it is finely chopped, bruised, and left to ferment and dry in the hot sun, where it changes from a vivid green to a deep mahogany red ~ the unique red color for which Rooibos Tea is known and cherished worldwide. 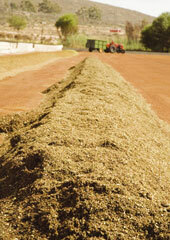 Harvested Rooibos can be processed in two different ways. The green leaves and stems can be bruised and sundried without fermentation, then referred to as Green Rooibos, which contains higher levels of polyphenol antioxidants as fermented rooibos loses some antioxidants during the fermentation process. The unfermented type was developed to maximize antioxidant levels in response to recent demand of the health benefits associated with the antioxidants found in C. sinensis teas. 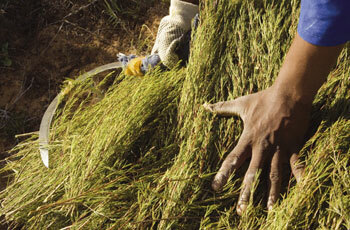 Green Rooibos is a tan/yellow color rather than the rich reddish color of fermented rooibos. It has a very mild “green” taste reminiscent of green tea but without the astringency. The ‘ Red ‘ fermented type is quite different, with a stronger sweet and fruity taste. With so many remarkable health benefits and such a pleasing taste, it’s no wonder this completely pure and natural Rooibis Tea is taking the world by storm. 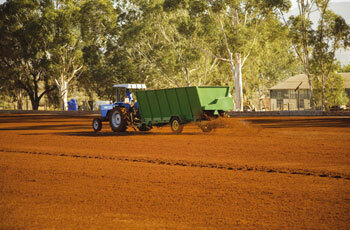 Red Leopard Rooibos is certified as a 100% Organic ingredient by both USDA and Ecocert. 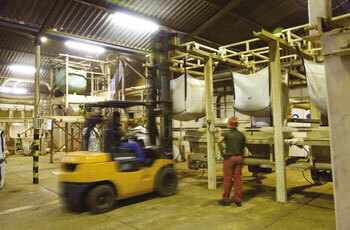 All production complies with stringent international Organic standards. All growing is under supervision of internationally recognized organic certification companies and no fungicides are used at any point. Visit the Red Leopard Wilderness lodge in the pristine centre of the Rooibos region with some of the finest examples of the Rooibos plant.